Congratulation to the twins of Lisa and Simon Horauf (Sydney to Hobart Race), born on the 21st of September 2010 in Sydney and congratulation to Julia and Martin Hug to Max, born on the 24th of September 2010 in Switzerland! On the 1st of August at the Swiss national day; the illumination of the traditional fire was like in a comedy, with the police and firemen involved. 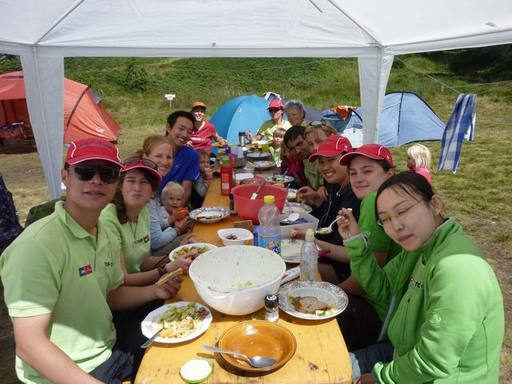 There were many kids in the camp and we did a lot of activities from sailing to mountain climbing and sometimes also an indoor program with Annemarie when the weather was not fine. 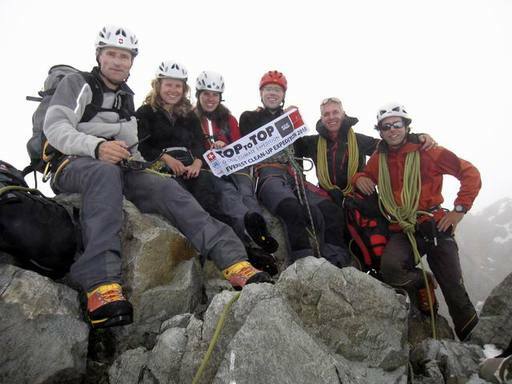 Vandy, Roesch, Michi, Carl, Johanna, Maria-Louise and Dario climbed Bernina – Bellavista and Palü, where TOPtoTOP started in 1999. 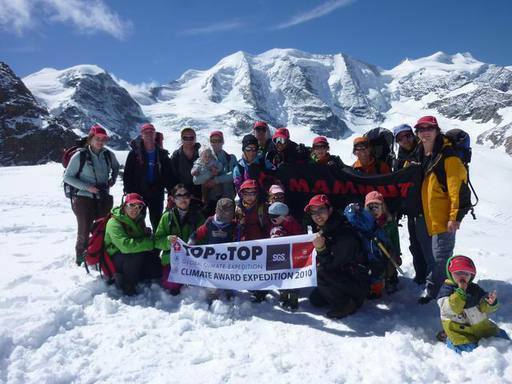 As soon as all Award winners were present we started the award expedition for 3 weeks to the best practice examples in Switzerland (see last reports). Thanks to our member Gabi it was just perfect. 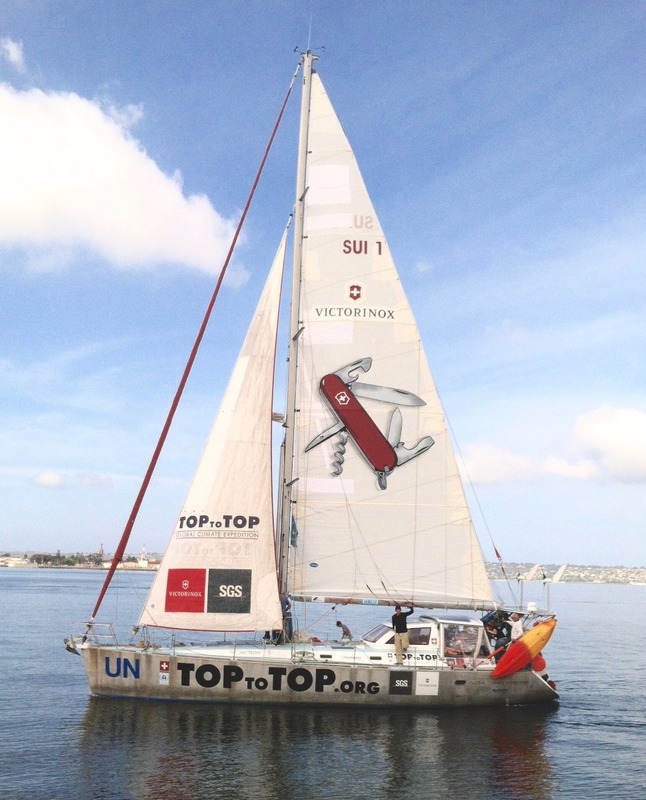 After the TOPtoTOP Award Expedition in Switzerland we were busy giving presentation in Waengi, Frauenfeld, Buch am Irchel and Zouz as well as in the headquarters of SGS in Geneva and Victorinox in Ibach. 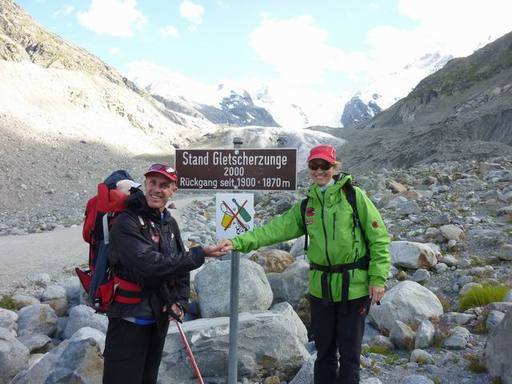 In between we had media interviews and filming sessions on the Morteratsch glacier. For Sabine and Dario it was a shock to see how much the glacier retired since they started the expedition the first time in 2000. 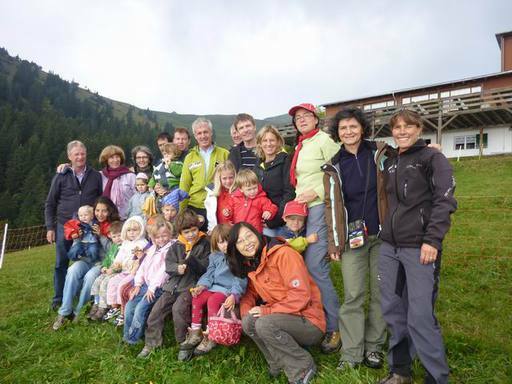 This doc film under the title “Familie Schwörer: Klimareise mit Kind und Segel” will be broadcasted on Swiss TV on the 23th of October (Fenster am Sonntag). Sabine and Dario had in the whole time in Switzerland one day off. 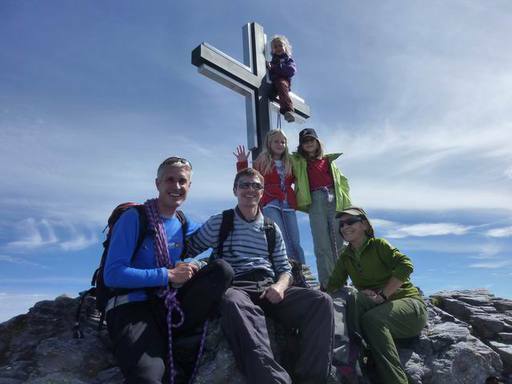 They climbed Palü and celebrated their 9th wedding anniversary at the 25th of August together with Sabine’s parents Rosi and Ernst in Jakobsthal. 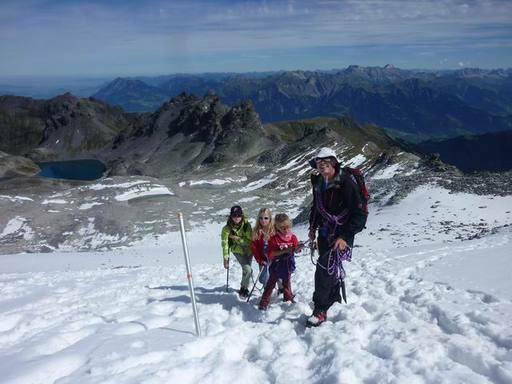 Dario took the opportunity to climb with his parents Ottavia and Reto and godchild Flurina to the TOP of Mount Pizol, while in Switzerland. All other climbers were quite impressed that Salina managed to climb this glacier top with 5 years without any support. Finally we also went to see our dentist and got some tools so that we are able to act on the ocean, if necessary. Just before we returned to the global expedition Noe was for his last control in the Children’s Hospital in Zurich. Many thanks again to doctor Gobe and doctor Gonzales. They have done just two perfect operations and we are so happy that Noe is o.k. again. 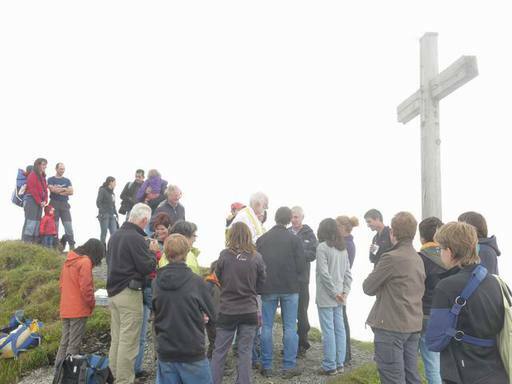 Last weekend on the 18th of September at 12 a.m. we had the baptism of Noe Reto Vital on the TOP of Mount Gonzen together with many friends and family. Thanks to our priest Felix Buechi, who baptized Salina on the same spot in 2005, it was a great ceremony and thank you very much for joining. So many thanks again to all and specially our parents making our stay in Switzerland as comfortable as possible. After two months in Switzerland we are now back on the expedition visiting schools in India.